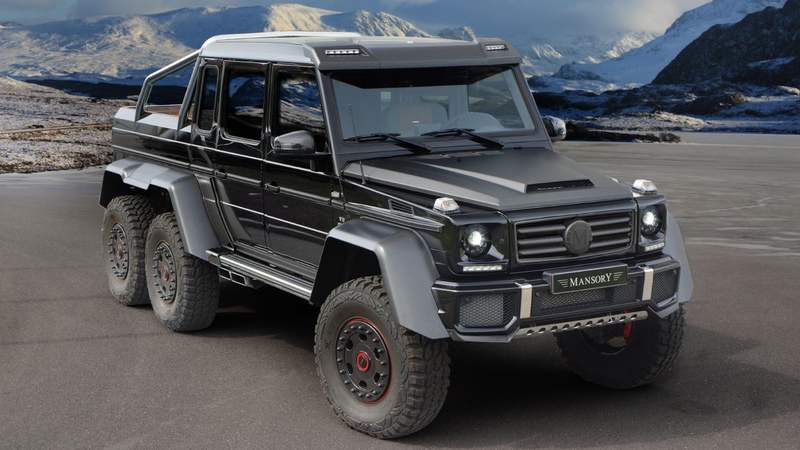 Mansory made minor modifications on their most powerful version of the Mercedes-Benz G63 AMG 6x6. The exterior is now enhanced with carbon fiber panels around the side mirrors and the side vents. The bigger changes are under the hood - the eight-cylinder engine with a displacement of 5.5 litres and a twin-turbo now generates 840 horsepower and 1000 Nm of torque. This is is 140 horsepower more than the Brabus version of the same model. Mansory have also added many carbon fiber elements in the interior to highlight the lines of the body and to give the car a more sporty cockpit.